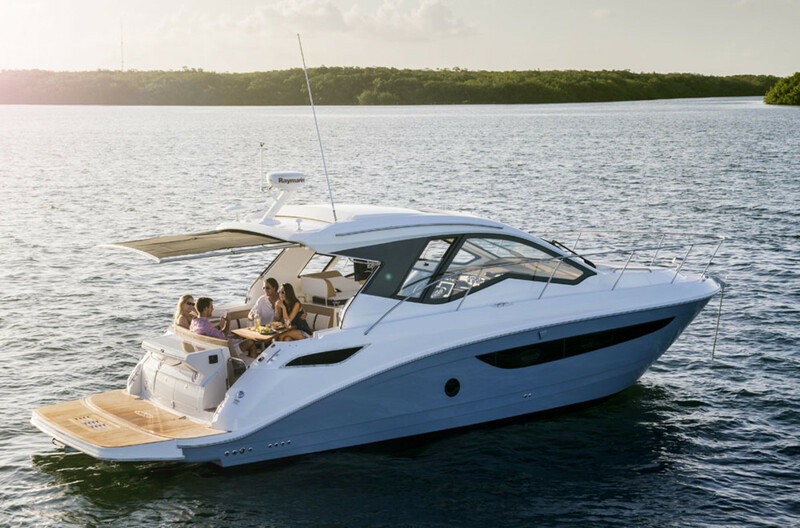 Sea Ray will unveil six new boats that span the manufacturer’s lineup at various shows this fall. The company will bring new features to its lineup, including new sport boat propulsion options, new flybridge and coupe cruiser models and a new L-Class yacht. The 460 Fly will make its world debut at the Fort Lauderdale International Boat Show Nov. 3-7. 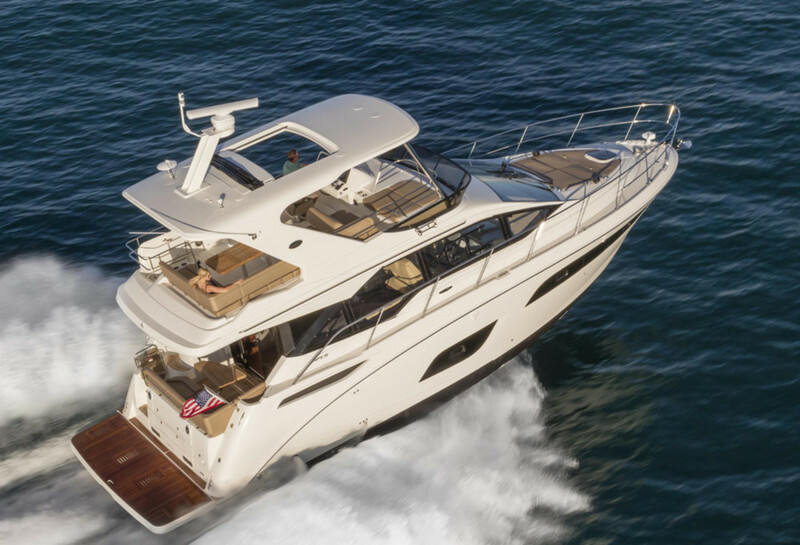 The Fly 460’s expanded flybridge features a social layout with seating, storage, a teak dining table, and options including a grill, sink and refrigerator. A full-canvas hardtop is optional, and is available with and without a skylight. The Sundancer 460 will make her debut Oct. 13-16 at the Annapolis Powerboat Show, followed by the Fort Lauderdale International Boat Show Nov. 3-7 and the Atlantic City Boat Show March 1-5. The Sundancer 350 Coupe will make its world debut at the Fort Lauderdale show, featuring a large sunroof and opening side windows, two staterooms belowdeck and a new enclosed shower. The final two models, both to be introduced at the Fort Lauderdale International Boat Show, are the SLX 350 Outboard and the SLX 310 Outboard. 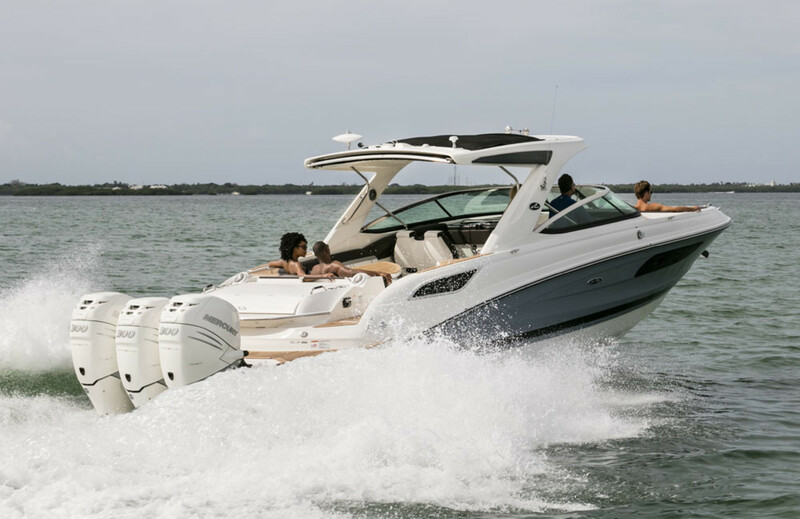 The SLX 350 OB, Sea Ray’s first model with triple outboard propulsion, features “Next Wave innovations” such as quiet ride technology, Axius joystick and tuned transom. Sea Ray’s first boat with triple outboards, the SLX 350 Outboard, will be introduced in Fort Lauderdale. Sea Ray features another outboard option this year with the world premiere of the SLX 310 OB.